Varta Consumer Batteries is the latest brand to release its Christmas TV ad in the run-up to the big day, investing in an advertising campaign that it expects to reach an audience of more than 18 million consumers during the peak-selling period. The batteries manufacturer’s commercial will air from today (December 3) in prime-time slots across multiple channels, including ITV, Channel 4 and Sky 1. Varta explained that, for the first time it has dedicated 13% of its spend to on-demand channels since November 23. The Christmas campaign will see the re-appearance of the popular ‘Max and the Train’ advert, which made ts debut last year and offers a nostalgic look at Christmas over the decades, with Varta at the heart. 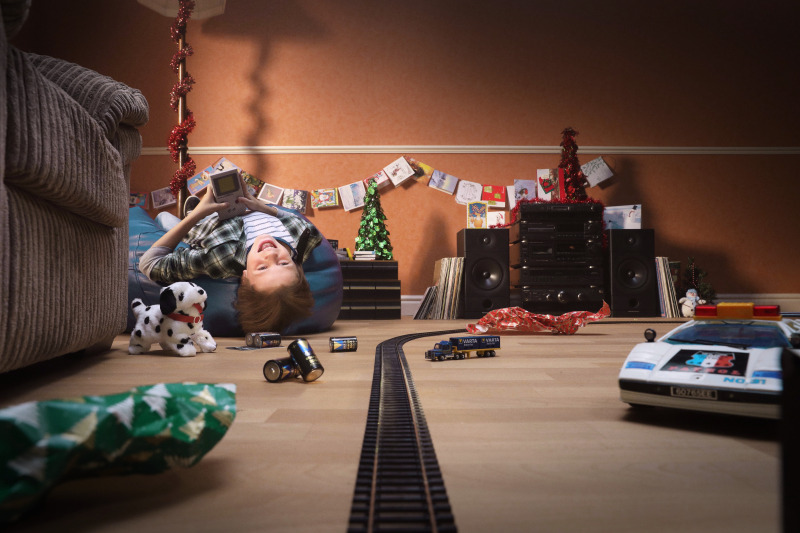 The commercial depicts a young Max and his toy train, powered by batteries, enjoying the festive season from the 1980s through to today. Varta’s investment in the TV campaign follows a major brand refresh, which includes the launch of new packaging and a renamed product range. As part of the Varta relaunch, the manufacturer revealed the new brand slogan ‘In Service for You’ which is designed to convey how the brand is “a reliable partner at a consumer’s side”.